The beautiful yellow flowers of the calendula plant (also known as the pot marigold) are used on the skin for their antifungal, antiseptic, astringent, demulcent and vulnerary properties. Its active constituents include: high amounts of flavonoids which are anti-inflammatory and antibacterial, arabinogalactans, saponins (such as oleanolic acid, beta-carotene, lutein and other carotenoids), terpenes, polysaccharides, polyacetylenes and phenolic acids. "Where calendula is applied, no pus will form," is an old adage that has been past on through generations, hence calendula’s reputation for healing cuts, bruises, rashes and irritated skin. Topically, calendula flower soothes burns and sunburn. As a bath herb, calendula flower is used for dry skin. Used both internally and externally, calendula helps to increase peripheral circulation. It is also used internally to improve skin conditions such as acne, boils, eczema and psoriasis. A common ingredient in cosmetics, calendula is used in facial steams, cleansers, lotions, moisturizers, soaps and salves. It is gentle enough to use in products such as eye creams and baby care products, and can even help relieve cradle cap and diaper rash. Calendula is also used in shampoos, conditioners and hair rinses, especially for blondes. See also calendula essential oil. Camelina oil is high in EFAs (linoleic) and Omega 3 oils. It has excellent anti-aging benefits, is very emollient, and improves skin elasticity and hydration. Camelina seed oil is very similar to flax in appearance and properties but it has a much more stable shelf life and is not prone to rancidity. This delicious oil can be used for food and cosmetic purposes and comes packed with Omega-3 fatty acids, Vitamin E, and anti-oxidants. Great for the skin, hair and eyes, the nourishing properties are also popularly used as an oil additive for our animal companion’s food. This oil makes an excellent choice for natural cosmetics and especially hair care formulas. Considered by many in the US as a weed, it was known as the “gold of pleasure”, and is still sold and marketed under this name in some parts of the world. Camelina is a small annual shrub with small pale yellow or greenish yellow flowers. It is referred to as false flax because it is often found growing in flax fields. Traditionally it was used for oil in lamps, and as feed for livestock. Recently, it has been looked at for its viability as a bio fuel alternative to corn and as a nutritional supplement for farm and domesticated animals. Because of its unrefined nature it has a deep color, heavy herbaceous odor and nutty flavor. The crop is now being researched due to its exceptionally high levels (up to 45%) of omega-3 fatty acids, which is uncommon in vegetable sources. Seeds contain 38 to 43% oil and 27 to 32% protein. Over 50% of the fatty acids in cold-pressed camelina oil are polyunsaturated. The oil is also very rich in natural antioxidants, such as tocopherols, making this highly stable oil very resistant to oxidation and rancidity. It has 1 - 3% erucic acid. The vitamin E content of camelina oil is approximately 110 mg/100 g. It is well suited for use as a cooking oil. It has an almond-like flavor and aroma. About Camelina sativa (GOLD OF PLEASURE) SEED OIL – Camelina Sativa Seed Oil is a fixed oil expressed from the seeds of Camelina sativa. Camellia Seed Oil is a deeply penetrating light oil which gives skin a beautiful texture and glow prevents wrinkles, spots, freckles, and acne. It is also highly antioxidant and a skin brightener. It is also one of nature's densest plant sources of oleic and linoleic acid, Vitamins E and D to nourish and moisturize skin. See also camellia seed oil more. The balsam fir is a North American fir, native to most of eastern and central Canada and the northeastern United States. It is a tall, graceful evergreen tree up to 65 ft high, with a tapering trunk and numerous branches giving the tree an overall shape of a perfect cone. It forms blisters of oleoresin on the branches, produced from special vesicles beneath the bark. This oleoresin is collected by puncturing vesicles in the bark. Fir oil is an antiseptic, solvent, disinfectant and deodorant. Its properties for mind include: elevating, grounding and opening. Candelilla extract is derived from candelilla plants and used as a thickening agent and emollient to give products such as lipsticks or stick foundations their form. Candelilla wax is a wax derived from the leaves of the small Candelilla shrub native to northern Mexico and the southwestern United States, Euphorbia cerifera and Euphorbia antisyphilitica, from the family Euphorbiaceae. It is yellowish-brown, hard, brittle, aromatic, and opaque to translucent. Candellila wax is considered a hard vegetable wax, brittle, lustrous, and slightly tacky. It's color varies from light brown to light yellow. It has a low coefficient of expansion and contraction. Candelilla is softer than carnauba wax. It is mostly used mixed with other waxes to harden them without raising their melting point. As a food additive, candelilla wax is used as a glazing agent. It also finds use in cosmetic industry, as a component of lip balms and lotion bars. One of its major uses was a binder for chewing gums. Candelilla wax can be used as a substitute for carnauba wax and beeswax. Candelilla’s extraordinary molding qualities capable of reproducing fine detail make it a superior precision casting wax. 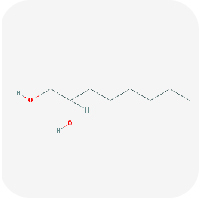 With a melting point of 68.5–72.5 °C, candelilla wax consists of mainly hydrocarbons (about 50%, chains with 29–33 carbons), esters of higher molecular weight (20–29%), free acids (7–9%), and resins (12–14%, mainly triterpenoid esters). The high hydrocarbon content distinguishes this wax from carnauba wax. It is insoluble in water, but soluble in many organic solvents. Caprylic/Capric Triglyceride is an oily mixture of glycerin with caprylic and capric acids derived from coconut oil. It is comprised of short chain fatty acids, and is extremely stable with an almost indefinite shelf life. This can be used in place of fractionated coconut oil in products such as lotions, balms and massage oils. It is a light, penetrating oil with a silky feel, wonderful for moisturizing products as it doesn't leave that greasy feeling. It is skin conditioning and used as an emollient to prevent water loss from the skin. It's also a great carrier for essential oils. See also: GLYCERIN. Note: This is slightly different from Fractionated Coconut oil, as it only contains the shorter chain fatty acids. Capric Acid is a type of carboxylic acid abundant in nature, as is malic acid (from apples) and lactic acid (from sour milk). Caprylic Acid is a long-chain fatty acid found in coconuts and breast milk. In cosmetics it is used as a surfactant and thickening agent. It is known to have antifungal properties and thus is often recommended by nutritionists in the treatment of candidiasis, and is also used in the treatment of some bacterial infections. To make Capric/Caprylic Triglyceride, you first have to separate the Capric and Caprylic fatty acids from the glycerol group in the raw oil. There are two ways that this is generally done. One way is through a chemical reaction called saponification–aka soap-making. A strong alkali breaks apart the glycerol group from the fatty acids and reacts with the fatty acids to create a new compound we know as soap. Another way to split the glycerol from the fatty acids is through steam hydrolysis; intense heat and pressure is applied to break apart the triglyceride molecule. This is typically the method used in industrial fatty acid production. Then once the Caprylic and Capric acids are separated from the glycerol they undergo another chemical process called esterification to add the glycerol group back to the fatty acids. A triglyceride contains more than one type of fatty acid. So, when the oil and fatty acids are separated from the glycerin the different fatty acids can then be separated and isolated. Finally, the oil is put back together with only the shorter chain Capric and Caprylic acids. This is a purified version of the oil that is now referred to as Capric/Caprylic Triglyceride. This new purified and standardized oil has different physical properties than the original oil. It feels dryer, less greasy and has a much higher stability because it's all saturated fat since the more unstable fatty acids have been removed. That depends on the particular skin: any oil has the potential to be comedogenic because it provides an occlusive barrier to the skin, so it depends entirely on how a face handles oil. However, this oil doesn't turn solid until it gets to ~40° F, so it doesn't harden on the skin and clog pores in that way. Capric/Caprylic Triglyceride is marketed as a food supplement known as MCT (Medium Chain Triglyceride) Oil. Caprylyl glycol is a skin-conditioning and viscosity improving agent that may be plant-derived or synthetic. It is often used as part of a preservative blend with phenoxyethanol and chloroxylenol, two preservatives that meet current global regulations, but not Be Yourself Beautiful's standards. Caprylyl glycol is better than harsher alternatives such as formaldehyde. The Cosmetics Ingredient Review has deemed the ingredient safe for use in cosmetics, and Whole Foods has deemed the ingredient acceptable in its body care quality standards. In addition, several studies show the ingredient is not a strong skin or eye irritant or sensitizer.At least one study shows it also has antimicrobial characteristics. Used as solvents for preservatives, fragrance, and other substances, they are also referred to as humectants, emollients and preservatives. Glycols can be irritating and harmful to the skin. This group includes Propylene, Butylene, Pentylene, Hexylene, and Caprylyl Glycols, Capryl Clycol, Caprylic Glycol. Typical commercial production of Caprylyl Glycol starts with the synthesis of Ethylene Glycol, the simplest of the 1,2-glycols. This happens by thermal oxidation of Ethylene Oxide with water. The commercial production of 1,2-glycols, including Caprylyl Glycol, are commonly made either via catalytic oxidation of the corresponding Alkene Oxide, or reduction of the corresponding 2-Hydroxy Acid. Cardamom is one of the oldest essential oils known. Egyptians used it in perfumes and incense, and also chewed the seeds to keep their teeth white. In Traditional Chinese Medicine (TCM), cardamom has long been described as a Qi tonic, not only warming and invigorating to the lungs, spleen and nerves, but also having an effect on the spirit or mind, similar to that of basil, removing listlessness and depression often found in chronic Qi deficiency conditions. Its main properties for skin are antiseptic and cleansing. Cardamom oil’s aroma is described as a warm, spicy middle-base note with the following properties for mind: energizing, stimulating and aphrodisiac. It is also used to combat fatigue and stress. 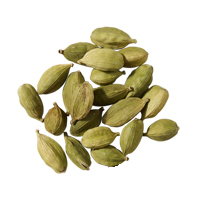 Traditional Use: Cardamom is native to India, and is used in Ayurvedic medicine. Of Interest: This oil has many applications in perfumery. It is added to oriental type aromas for soaps, cosmetics, and body care products. Carmine is a strikingly beautiful rich red colorant. Derived from Cochineal, this natural pigment is used in cosmetics. Historically has been used by the Navajo and other native peoples around the world. Natural red color that comes from the dried female cochineal beetle. It is sometimes used to color lip gloss, lipsticks, and other cosmetics. The FDA approved carmine for food use in 1977. About CARMINE: Carmine is a red pigment/dye derived from insects native to South America and Mexico that live as parasites on cactus plants. Used as a colorant in food, cosmetics and textiles. Has been associated with severe allergic reactions. This ingredient is listed in the PETA's Caring Consumer guide as a substance of animal origin. This ingredient is derived from animals. From PETA's Caring Consumer: Pigments from animal, plant, and synthetic sources used to color foods, cosmetics, and other products. Cochineal is from insects. Widely used FD&C and D&C colors are coaltar (bituminous coal) derivatives that are continously tested on animals due to their carcinogenic properties. Alternatives: grapes, beets, turmeric, saffron, carrots, chlorophyll, annatto, alkanet. Carmine, also called crimson lake, cochineal, natural red 4, C.I. 75470, or E120, is a pigment of a bright-red color obtained from the aluminium salt of carminic acid, which is produced by some scale insects, such as the cochineal scale and the Polish cochineal, and is used as a general term for a particularly deep-red color of the same name. Carmine is used in the manufacture of artificial flowers, paints, crimson ink, rouge, and other cosmetics, and is routinely added to food products such as yogurt and certain brands of juice, the most notable ones being those of the ruby-red variety. The English word "carmine" is derived from the French word carmin (12 c.), from Medieval Latin carminium, from Arabic qirmiz "crimson," from Sanskrit krimiga "insect-produced", from krmi "worm, insect". Influenced in Latin by minium "red lead, cinnabar", said to be of Iberian origin. To prepare carmine, the powdered scale insect bodies are boiled in ammonia or a sodium carbonate solution, the insoluble matter is removed by filtering, and alum is added to the clear salt solution of carminic acid to precipitate the red aluminum salt, called "carmine lake" or "crimson lake." Purity of color is ensured by the absence of iron. Stannous chloride, citric acid, borax, or gelatin may be added to regulate the formation of the precipitate. For shades of purple, lime is added to the alum; thus, the traditional crimson color is guaranteed not only by carminic acid but also by choice of its chelating metal salt ion. Carmine may be prepared from cochineal, by boiling dried insects in water to extract the carminic acid and then treating the clear solution with alum. Other common substances such as cream of tartar, stannous chloride, or potassium hydrogen oxalate can also be used to effect the precipitation, but aluminum is needed for the color. Use of these chemicals causes the coloring and animal matters present in the liquid to be precipitated to give a lake pigment. Aluminum from the alum gives the traditional crimson color to carminic acid precipitates, which are called carmine lakes or crimson lakes. This color is degraded by the presence of iron salts. Addition of lime (calcium) can give carminic acid lakes a purple cast. Other methods for the production of carmine dye are in use, in which egg white, fish glue, or gelatin is sometimes added before the precipitation. The carminic acid used to produce the pigment can also be extracted from various microbes engineered for the purpose. Microbes are dissolved in a containment structure separate from their cultivation vats, and then allowed to settle out. The liquid and suspended carminic acid is then siphoned off, and metal salts are then added to give a lake pigment in a procedure that is mostly identical to the procedure for acid extracted from insects. The quality of carmine is affected by the temperature and the degree of illumination during its preparation, sunlight being requisite for the production of a brilliant hue. It also differs according to the amount of alumina present in it. It is sometimes adulterated with cinnabar, starch and other materials; from these, the carmine can be separated by dissolving it in ammonia. Good carmine should crumble readily between the fingers when dry. One of the hardest cosmetic waxes found, this wax is taken from the Brazilian palm tree Copernicia prunifera. A very hard, thick wax with a high melting point around 180-185 degrees. It is mainly used in furniture waxes, lipsticks, and cosmetic recipes, which require a formidable barrier agent. See also carnauba wax more. Carrot Seed oil: One of nature’s best cellular regenerators, especially for mature skin. Its high carotol content revitalizes hypodermis and improves the complexion. It is recommended for dull, tired or lifeless skin particularly from environmental stress. Has significant antioxidant activity and is thought to promote tone and elasticity to the skin cell tissue through its ability stimulate the formation of red blood cells. Its cooling effect make it ideal for soothing sensitive or inflamed cell tissue, and its moisturizing and toning properties can smooth and soften facial lines and wrinkles. Daucus carota, the sativa seed oil of the flowering plant, is classified as an emollient and skin conditioning agent. Steam distillation is used to collect the oil from the seeds and the root of the carrot. The chemical composition of the oil contains vitamins A and D, carotenes and flavonoids. Beta-carotene is considered an antioxidant which means it protects against free radicals. It has been suggested that carrot oil can detoxify your skin of the impurities that result in acne and protect against the signs of aging. Traditional Use: The roots have an affinity with the liver and gallbladder, and the seeds with the kidneys and digestive system. Castor Isostearate Beeswax Succinate: A castor oil and beeswax derived natural polymer that is created solely with heat and vacuum. No chemicals are used in the process. It increases wear time and enhances texture (certified by Eco-Cert). 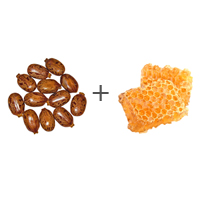 Castor Isostearate Beeswax Succinate is a polymeric mixture of esters formed by the reactionof Castor Oil (q.v. ), Isostearic Acid (q.v. )., Beeswax (q.v.) and Succinic Acid (q.v.). Castor oil is a vegetable oil obtained by pressing the seeds of the Castor plant (Ricinus communis). It is a soothing anti-inflammatory, and a superior emollient and skin conditioner which creates a protective barrier against the elements. Castor oil provides excellent stability, gloss, and pigment dispersion characteristics which is why this hard and shiny oil can be found in most cosmetics. It is also known for its use in fighting acne. Cetearyl Olivate is the ester of cetearyl alcohol and the fatty acids derived from olive oil. This non-ionic oil combines the properties of olive oil with other naturally derived ingredients making it a mild emulsifier. Cetearyl Olivate facilitates the retention of moisture in the skin and increases active ingredient's resistance to water and sweat. It helps soften the skin and hair and gives creams a smooth and luxurious feel. Cetyl alcohol is a long chain organic alcohol. Because of its unique binding and emollient action, cetyl alcohol is a great binder for moisturizing. Cetyl alcohol can help maintain the skin's moisture balance without the grease. Since water and oil do not mix, cetyl alcohol helps lock moisture into the skin and form a protective barrier that water cannot penetrate. This helps to prevent dry and parched skin. In addition to the unique barrier benefit of cetyl alcohol, it is often added as an ingredient to moisturizers to alter the consistency of liquid products or to increase foaming capacity. 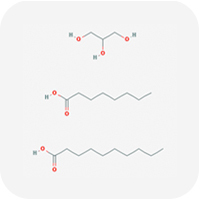 Cetyl Palmitate is a functional and stabilizing ester that is derived from the olive oil fatty acids. As a great skin-conditioning and emollient ingredient, Cetyl Palmitate is used for its functional properties. It enhances emulsion stability and reduces greasy texture. About CETYL PALMITATE: This lipid ingredient is composed of cetyl alcohol and palmitic acid, a naturally occurring fatty acid. This ingredient may be derived from animals. From PETA's Caring Consumer: Waxy oil derived from the sperm whale's head or from dolphins. In many margarines. In skin creams, ointments, shampoos, candles, etc. Used in the leather industry. May become rancid and cause irritations. Alternatives: synthetic spermaceti, jojoba oil, and other vegetable emollients. Roman chamomile is a miracle worker. Its numerous properties for skin include: analgesic, anti-allergenic, antibacterial, powerful anti-inflammatory and anti-irritant, antioxidant, antiseptic, calming, demulcent, healing and sedative. Its various uses include treatment of: acne, allergies, arthritis, dermatitis, eczema, erythema, inflammation of skin, irritated skin (dry, itchy, flaky, chapped), psoriasis, rashes, sensitive skin, spider veins, sores and wounds, and is also a great tissue regenerator include: bisabolol (promotes healing; granulation), terpenes, flavonoids and hydroxy-cinnamic-acid derivatives. Particularly recommended for dry-dehydrated, delicate-sensitive, oil-rich and blemished skin, chamomile is good for all skin types. It is also widely used in shampoos. Chamomile’s aroma is described as a fruity warm floral, herbaceous middle-base note with properties for mind including: relaxing, cooling and calming. Emotional benefits include realization of personal growth and ease of: aggression, anger, anxiety, fear, grief, hysteria, impatience, irritability, loneliness, nervousness, panic, stress and tension. Chrysanthemum flowers, Certified Organic:Chrysanthemum has been used historically in Chinese medicine for its benefits to the eyes. Chrysanthemum contains ascorbic acid, beta carotene, camphor, calcium, choline, folacin, iron, magnesium, niacin, potassium, and riboflavin. The flowers have antibiotic, anti-inflammatory, antibacterial, antifungal, antipyretic, antihypertensive and antiviral properties. The flowers also act as a detoxifying and relaxing agent. The wild chrysanthemum is a sprawling, leafy plant with clusters of daisy like flowers at its crown. Though it was first officially described in the west by the famous Botanist Karl Linnaeus in 1753, it has a long and rich history in Eastern medicine. The Chinese first described the flower in the 15th century B.C.E., and by the 8th century C.E., it was introduced to Japan. Enthralled by its brilliant appearance and variety of uses, it became a national symbol in Japan and is recognized as the official seal of the Emperor. It continues to be one of the most important herbs in traditional Japanese medicine, and is thought to hold the power of life. Ascorbic acid, beta-cartone, calcium, fiber, folacin, iron, magnesium, niacin, potassium, riboflavin, essential oils. The chrysanthemum is sometimes known as “The Queen of Fall Flowers” in the United States due to its beauty and high visibility in displays and decoration. It is often included in college homecoming festivities and it is the largest commercially produced flower in the US due to its ease of cultivation, ability to bloom on schedule, and its wide diversity of form and color. Chrysanthemum morifolium (also known as Florist's daisy and Hardy garden mum) is a species of perennial plant from Asteraceae family. The plant is 1–3 feet (0.30–0.91 m) high and wide. This plant can be noted for its popularity as an indoor houseplant in part because of its air cleaning qualities as per a study done by NASA, removing benzene, formaldehyde, and ammonia and other chemicals from the air. In general, the plant is best fertilized once a month and watered two to three times a week depending on climate. Can have anti-inflammatory benefit for skin. Its properties for skin include: antifungal, antiseptic, anti-yeast, mildly astringent, detoxifying, parasiticidal and warming. Cinnamon is used in facial scrubs, soaps, cleansers, masks and lotions. Its pungent aroma is described as a sweet, spicy middle note, and is desirable in perfumes and aftershaves. Considered an aphrodisiac, the essential oil is included in massage oils for lovers. Further effects on the mind include: promoting happiness and peace, and combating stress. Excellent for brunettes and in preventing baldness, cinnamon is used in shampoos and hair rinses. It freshens the breath when included in toothpastes and mouthwashes and promotes a rosy complexion when used internally. Traditional Use: Cinnamon leaf has been used for culinary and medicinal purposes. The leaf oil has a higher eugenol content then the bark oil, which increases its analgesic properties. Of Interest: Cinnamon has been a highly prized commodity since antiquity and is one of the most recognizable scents in the world. The chemical breakdown of Cinnamon leaf oil is similar to that of Clove bud. Safety Data: Avoid while pregnant. May cause skin irritation. Citric acid is a weak organic acid found in a variety of fruits and vegetables, most concentrated in lemons and limes where it can comprise as much as 8% of the dry weight of the fruit. One of the most widely used acids in the cosmetic industry, it is derived from citrus fruits by fermentation of crude sugars and is employed as an acid-alkali balance adjuster, an antioxidant, an astringent, an exfoliant (it is an alpha-hydroxy acid), a preservative, a sequestering agent and a foam inhibitor. Additionally, it serves as an environmentally benign cleaning agent. Distilled from the dried flower buds of the evergreen tree Syzygium aromaticum, clove oil is also found under the name Eugenia caryophyllata. Cloves are used for their, anesthetic, antimicrobial, antiseptic, astringent, detoxifying, and warming properties. Active constituents include: terpenes, flavonoids, tannins, phenolcarboxylic acids and sterols. It is included in skin preparations such as soaps, toners, lotions, perfumes, powders and aftershaves. Because clove is also antifungal, it is used in salves to treat athlete's foot. It is also used in shampoos, conditioners and hair rinses, especially for brunettes and redheads. Clove is often used to flavor toothpastes and freshen the breath. The essential oil of clove is an aphrodisiac and is included in perfumes for its sensuous scent, which is described as a warm, sweet, spicy middle note. Additional properties for mind include: anti-anxiety, energizing and intellectually stimulating for nervous fatigue and poor memory. Also called theobroma ("food of the gods") oil, cocoa butter is the solid edible natural fat of the cacao bean, extracted during the process of making chocolate and cocoa powder. It is one of the most stable fats known, containing natural antioxidants that prevent rancidity and give it a shelf life of two to five years. It is used for its smooth texture in various foods, as well as in cosmetics and soaps, pastes and emollient creams. Cocoa butter softens and lubricates the skin, and melts at body temperature making it good for massage creams. more on cocoa butter . . .
Coconut oil is the non-volatile plant kernel oil of the coconut palm. The coconut has degreasing and cleansing properties and lathers readily, which is why cleansing agents are frequently derived from coconut oil and it is such a common surfactant. Coconut oil is one of the heaviest and fattest of the plant oils, which makes it more emollient than other plant oils, but also possibly more comedogenic. For this reason, coconut oil is best for cleansers and body creams. See natural moisturizing factors. Starch obtained from corn and sometimes used as an absorbent in cosmetics instead of or alongside talc. Generally, in powders corn starch lends a silky but dry feel and some find it is better at absorbing excess oil without looking cakey than pure talc-based powders. Cornstarch is also used as a thickening agent in skin-care products. About ZEA MAYS (CORN) STARCH: Zea Mays (Corn) Starch is a starch obtained from corn. Corn starch, cornstarch, cornflour or maize starch is the starch derived from the corn (maize) grain. The starch is obtained from the endosperm of the corn kernel. Corn starch is a popular food ingredient used in thickening sauces or soups, and is used in making corn syrup and other sugars. The corn is steeped for 30 to 48 hours, which ferments it slightly. The germ is separated from the endosperm and those two components are ground separately (still soaked). Next the starch is removed from each by washing. The starch is separated from the corn steep liquor, the cereal germ, the fibers and the corn gluten mostly in hydrocyclones and centrifuges, and then dried. (The residue from every stage is used in animal feed and to make corn oil or other applications.) This process is called wet milling. Finally, the starch may be modified for specific purposes. For centuries, cranberries have been valued for their medicinal and antioxidant properties, and anti-aging benefits. Cranberry, a super-fruit, is classified as antioxidant, anti-inflammatory, antiseptic, brightening, antimicrobial and anti-bacterial. The cranberry is also known for its cellular renewal properties.